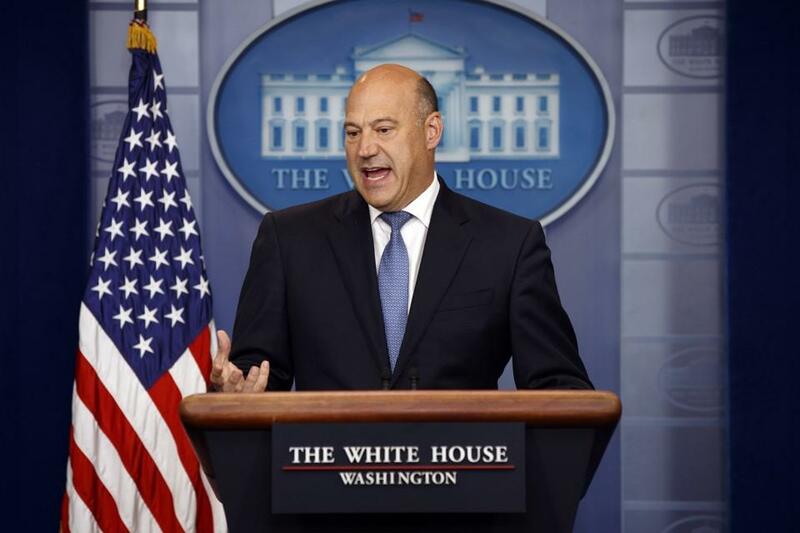 White House Economic Adviser Gary Cohn said he “can’t guarantee” the Trump administration’s new tax proposal won’t cause tax increases for some middle-class families. Representative Steve Scalise, the House Majority whip, to Congress after being shot at a congressional baseball team practice in June. Christopher Wray, President Trump’s pick to replace James Comey as the new FBI Director, in at the FBI Headquarters. Chief White House Economic Adviser Gary Cohn the Trump administration’s new tax proposal is “purely aimed” at the middle the Jones Act, a law that would make it more difficult to send hurricane-relief supplies to Puerto Rico. Twitter executives with members of both the House and Senate Intelligence Committees, as part of the panels’ probe into Russian interference in the 2016 election. The new White House communications director’s profane rant at a reporter shows how similar to the president he really is. The top lawyer at Novartis is stepping down as part of the fallout from the scandal over payments made by the drug maker to President Trump’s personal attorney. A Wall Street Journal story claimed the investigation had moved before a grand jury, while CNN reported it was looking into potential financial crimes unrelated to the 2016 election.